The Guru’s Sandals, or padukas, represent the power of the Guru to uplift and transform us. The Indian scriptures tell us that the fountain of grace which God pours upon humanity actually flows through the feet of the great beings. Thus, the sandals of the master are regarded with reverence. The esoteric meaning of this powerful symbol is beautifully expounded in Swami Kripananda’s book The Guru’s Sandals: Threshold of the Formless, which explores the essential mystery at its heart. 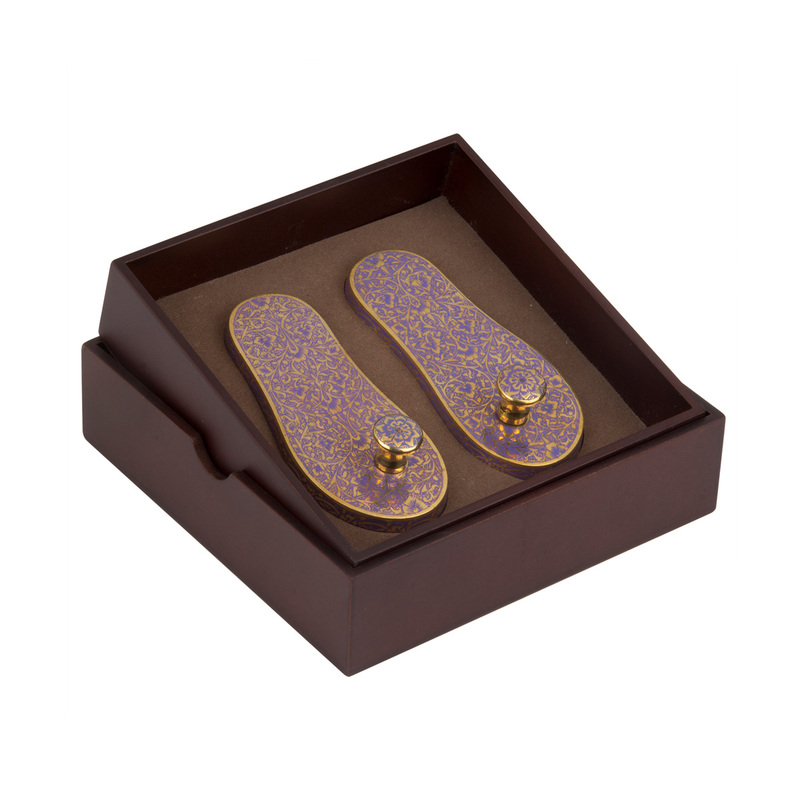 The mystery and reverence of the Guru’s Sandals is also expressed in the Guru Paduka Panchakam, five verses which are sung at the beginning of the Guru Gita. 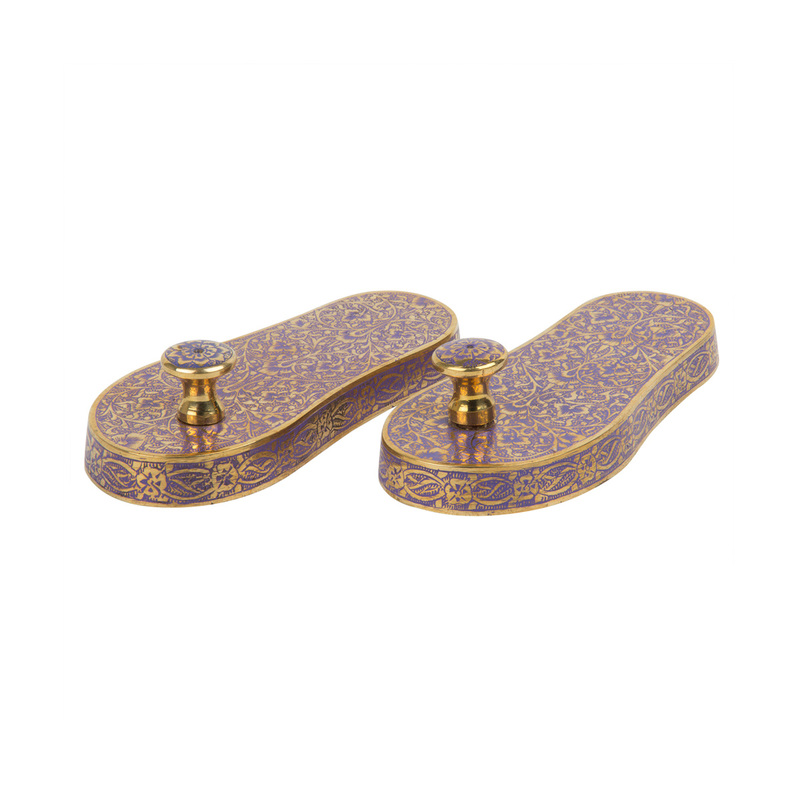 Representing the Guru’s feet, a mystical and sacred symbol in Eastern spiritual traditions, these brass padukas are designed to be placed on a puja table. Available in two sizes 2 inch (5 cm) and in 4 inch (10 cm).